In a previous article here at The Irish Story, John Dorney looked at the memory of the Irish Civil War. Here we speak to two Irishmen, Declan Power and Micheal MacDonncha, who have very different ‘takes’ on the Civil War and what it meant. 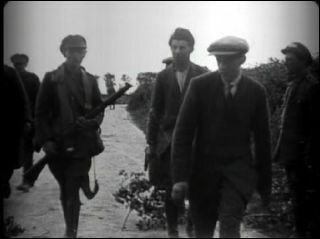 Even now, approaching one hundred years after the event, Irish Civil War can still provoke quite different bitterly opposed interpretations among Irish people. Former Irish Army officer and author, Declan Power talks about the conflict from a Pro-Treaty persepective. Sinn Fein activist and journalist Micheal MacDonncha gives the Anti-Treaty point of view. Both men retain what we might call “hereditary” attitudes to the conflict of 1922-1923. Declan identifies strongly with the Free State side and his interpretation of the conflict is very much that of the imposition of ‘order’ on a country threatened with ruin by republican gunmen. This position has been described as ‘statist’ – that is upholding the legally-based, currently constituted Irish state against illegal revolutionary violence. By contrast, Micheal, as we might expect, interprets the conflict as a reactionary betrayal of the republican revolution of 1919-1921. For him the Free State acted on behalf of the British by attacking the republicans in the Four Courts in June 1922. Subsequently he sees the war as basically that of the ‘haves’ – the wealthy, the powerful and the Catholic Church against young, working class republicans. For him, their defeat was also that of progressive politics in Ireland. Both men acknowledge the atrocities committed by the two sides during the war. In fact two of Declan’s cousins (the Scarteen O’Connor brothers, assassinated in Kenmare in September 1922 by Anti-Treaty fighters) were killed in the conflict. Both men also acknowledge the role of the Free State’s Criminal Investigation Department in the assassination and torture of Republicans. However there is difference in emphasis. Declan argues that the use of executions and even terror was inevitable in such a conflict and even necessary if the lawful government was to be upheld. For Micheal, the new Free State’s killing of republicans de-legitimised it for a generation. Another interesting contrast is that while Declan says the Civil War was rarely ever brought up in Irish Army circles, being too emotive and divisive, Micheal stresses that commemoration of the republican dead of the war was a key rallying point for republicans in the past. Though he stresses that for modern republicans, the civil war is definitely over. Such differing perspectives have not survived intact from the 1920s but have developed through the filter of more recent events. In the Northern Ireland ‘Troubles’ (late 1960s-late 1990s), the Irish Army (and, more commonly, the Garda Siochana) was used to try to thwart the Provisional IRA’s armed campaign in Northern Ireland, while Sinn Fein for many years supported the use of ‘armed struggle’. This is the biggest difference in perspective here. For those who see national liberation (and, perhaps, social justice) in Ireland as goals yet to be achieved, revolutionary nationalist violence can be justified. For those who view the maintenance of the rule of law and of the existing constitutional state as paramount, such violence is illegitimate ‘terrorism’. This ideological cleavage in nationalist Ireland is perhaps the most lasting legacy of the Civil War. The Irish Civil War – a Brief Chronology. January 7, 1922, The Treaty is passed by the Dail, President Eamon De Valera and two ministers resign from the cabinet in protest. March 26, 1922, an IRA Army Convention repudiates the right of the Dail to accept the Treaty and annul the Irish Republic declared in 1919. Elements of the Anti-Treaty IRA go on to occupy the Four Courts in Dublin. June 18, 1922, Pro-Treaty Sinn Fein, led by Michael Collins wins the first Free state general election. June 28, 1922 , Collins, under British pressure, orders Free State forces to bombard the Anti-Treaty elements in the Four Courts, sparking Civil War between Pro and Ant-Treaty elements.July-August, 1922, A determined offensive by the Free State forces wrests control of all the major towns and cities from Anti-Treaty elements. August 22, 1922, Michael Collins is killed in an ambush at Beal na mBlath, Cork. November 19, 1922, The Free States begins the execution of Anti-Treaty prisoners, a total of 77 are shot before the war’s end. April 10, 1923, Liam Lynch, the Anti-Treaty IRA’s Chief of Staff is killed in action. His succcessor Frank Aiken calls a ceasefire on April 30. May 24, 1923, Aiken order the Anti-Treaty forces to “dump arms” and go home. There is no official surrender, but this is the effective end of the war. 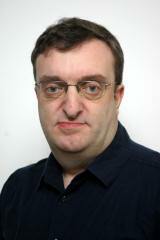 is a former Irish Army officer and is a writer on defence and security matters. He is a historian of the Irish Army and is the author of The Siege of Jadotville –The Irish Army’s Forgotten Battle and Beyond the Call of Duty – Heroism in the Irish Defence Forces. 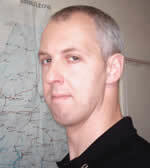 He has recently reported on the UN operations in Darfur and Haiti. Micheal MacDonncha is a Sinn Fein representative for Donaghmede Ward in north east Dublin and former editor of republican newspaper An Phoblacht, where he has written extensively about the Civil War. He Parliamentary Assistant to Caoimhghín Ó Caoláin TD. Written by: John_Dorney on 26 May, 2010.on 27 July, 2013. 5 Responses to "The Irish Civil War – A divisive memory"
Bit ironic re-listening to this as I heard Declan Power on radio defending the Egyptian military’s use of force to overthrow a government they disagreed with a few months ago.